Up to 14 million older people with disabilities are currently affected by humanitarian emergencies and, even though they are among the most at risk, a new study reveals how they routinely face barriers that limit their access to assistance and protection. Missing millions: how older people with disabilities are excluded from humanitarian response is launched today (30 April) by the London School of Hygiene & Tropical Medicine (LSHTM) and HelpAge International. Although there is increasingly a focus on including older people and people with disabilities in humanitarian efforts, the study found that people who are both older and disabled risk having their rights to safe and dignified assistance and protection denied. 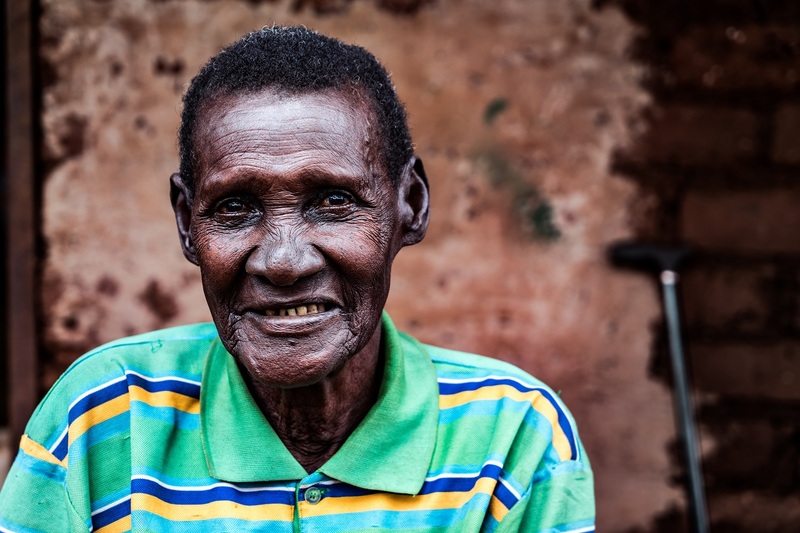 The study drew upon a comprehensive literature review, data analysis, and interviews with older people affected by crises in Tanzania and Ukraine. It reveals how older people with disabilities fared worse than those without disabilities, and how this is related to various physical and institutional barriers, as well as hostile attitudes. Data analysis revealed that between 7.8 and 13.7 million older people with disabilities are currently affected by humanitarian crises. It showed that these people, compared to older people without disabilities, are more likely to have been out of work, have a serious health problem, spend more than a quarter of their income on healthcare, be unable to participate in community life, and rate their quality of life as poor. A person’s capacity to survive a humanitarian crisis correlates with their health and financial status. Those with money and good health are better able to escape and live elsewhere than those who have little money and poor health. The literature review reflected this, showing how older people with disabilities were at greater risk of being left behind during emergencies in Ethiopia, Japan, Syria and USA. For those who do escape, older people with disabilities face barriers in accessing information and services, and they are more likely to be affected psychologically by crises. Humanitarian responders often require recipients to collect aid or social protection payments in person, and that it can be difficult or impossible across long distances and tough terrain without transportation. Some older people with disabilities were humiliated by the negative attitudes of staff, and even told to leave the camp by younger people. Those interviewed in Tanzania said they felt forgotten about because of their age, and in Ukraine they felt vulnerable to theft when collecting their pensions. “Our research showed that older people with disabilities are at greater risk of poverty and more likely to have health problems that require costly medication. Yet they are rarely included in livelihoods programmes and activities that would offer opportunities to work and earn money, despite expressing a desire to do so,” said Dr Sarah Polack, Associate Professor at LSHTM’s International Centre for Evidence in Disability. Homes, public facilities and toilets are typically not accessible, and lack wheelchair ramps, handrails and other low-cost adaptations that can make a big difference. This can leave older people with disabilities socially isolated, housebound and deprived of their dignity, threatening their mental health at a time when conflict, disaster and insecurity has already impacted on their emotional wellbeing. These barriers marginalise older people with disabilities and threaten their rights to independence, dignity and participation. “For too long, older people with disabilities have been invisible in humanitarian responses, their fundamental human rights denied,” said Madeleine McGivern, Global Humanitarian Advocacy Adviser at HelpAge International. What can be done to support the rights of older people with disabilities in humanitarian crises? supporting NGOs, state welfare departments and healthcare providers to make services and distributions inclusive and accessible. Download the Missing millions full report, executive summary, poster and view an infographic exploring the findings. Please share the report on Twitter.